The new trailer for Paul Dano’s directorial debut, Wildlife is here, and it shows a family in utter disrepair against the backdrop of 1960s America. Like the teaser that was released back in May, this new trailer doesn’t pull any punches as it shows a couple’s love disintegrate. You can watch the new trailer in the player below (via Collider). 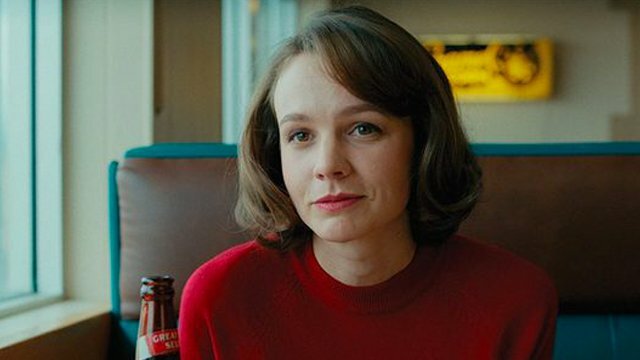 Adapted from Richard Ford’s novel of the same name, Mulligan delivers one of her finest performances to date as Jeanette, a complex woman whose self-determination and self-involvement disrupts the values and expectations of a 1960s nuclear family. Fourteen-year-old Joe, played by newcomer Ed Oxenbould, is the only child of Jeanette (Mulligan) and Jerry (Jake Gyllenhaal) — a housewife and a golf pro — in a small town in 1960s Montana. Nearby, an uncontrolled forest fire rages close to the Canadian border, and when Jerry loses his job — and his sense of purpose — he decides to join the cause of fighting the fire, leaving his wife and son to fend for themselves. Suddenly forced into the role of an adult, Joe witnesses his mother’s struggle as she tries to keep her head above water. With precise details and textures of its specific time and place, Wildlife commits to the viewpoint of a teenage boy observing the gradual dissolution of his parents’ marriage. The film, co-written by Dano and Zoe Kazan (The Big Sick), premiered at the 2018 Sundance Film Festival and screened as the opening night film in La Semaine de la Critique at the 2018 Cannes Film Festival. Wildlife also stars Bill Camp (Molly’s Game) and is produced by Dano, Gyllenhaal, Alex Saks, Oren Moverman, Ann Ruark, and Riva Maker. The post The New Trailer For Wildlife Shows A Family In Disrepair appeared first on ComingSoon.net.